This August, our vet crew finished the first phase of some work we did at Bay View United Methodist Church in Mount Vernon - http://www.bayviewumc.com/. The church sits near the shoreline of Padilla Bay, just south of Bay View State Park, in a picturesque neighborhood. 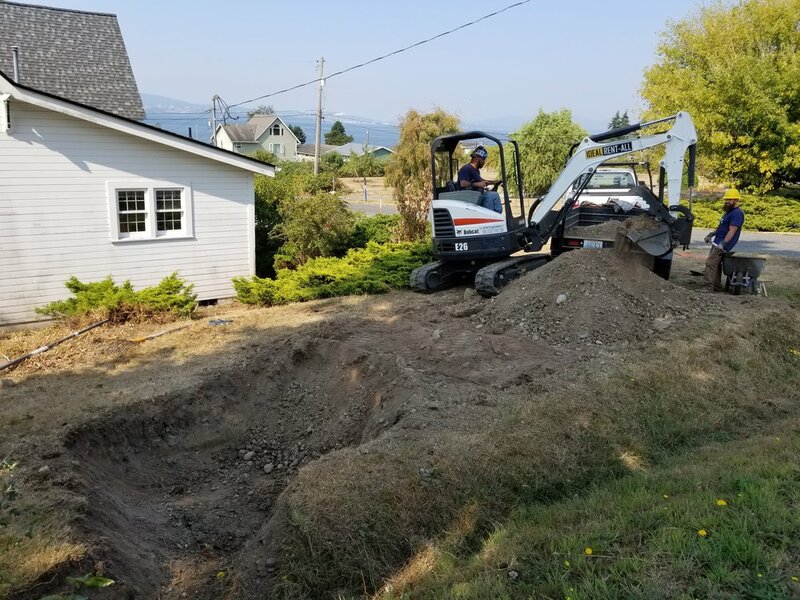 The first phase was to complete a rain garden on the property. 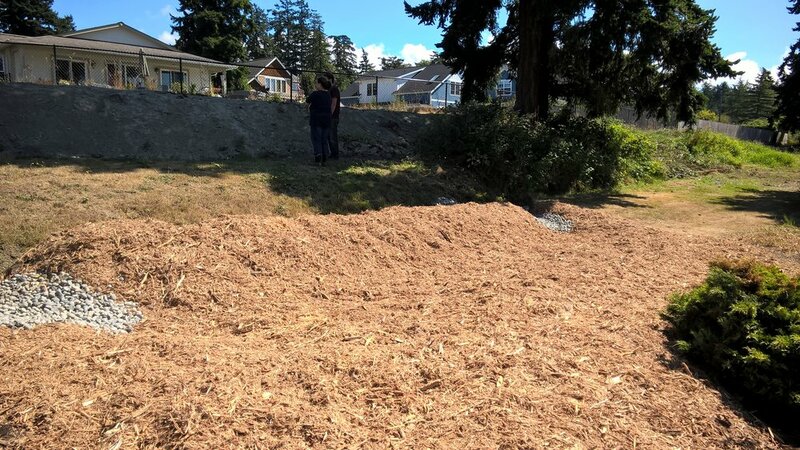 The second phase was to slow upland flow from a neighboring residential area, and to get most of it to soak into the native soil before it reaches Padilla Bay. 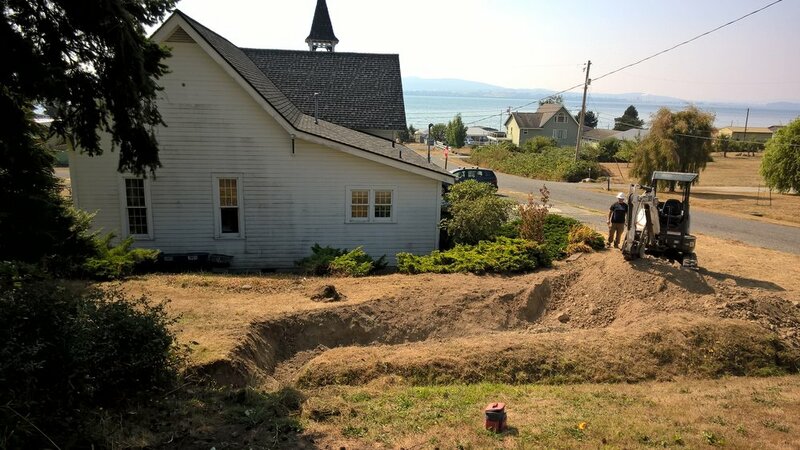 A rain garden is a depression created in the landscape to allow rainwater from a roof or driveway to slowly soak into the ground instead of running off into the nearest stream or Puget Sound. In this case, if you look closely, you can see neighboring Padilla Bay in the background. 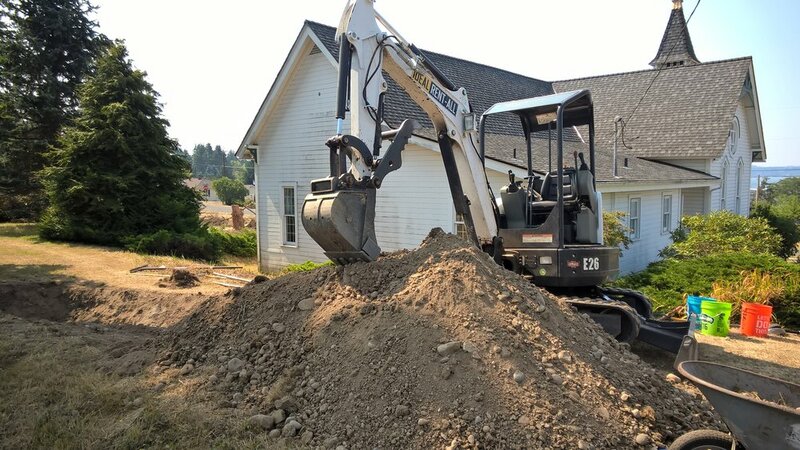 Native soils are removed and replaced with a special blend of high organic soil, bioretention and mulch. Rain gardens are then planted with beautiful, hardy, low-maintenance native perennial plants, which can withstand drought and wet root conditions. 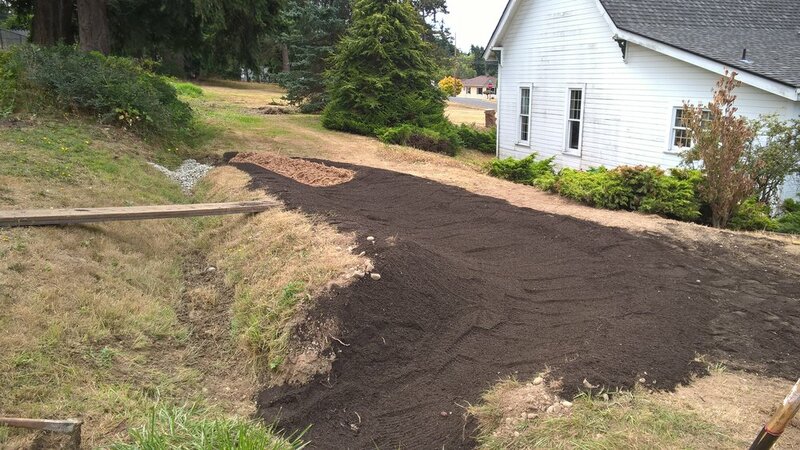 Click here to view the next phase of regrading the hillside above this rain garden. Thanks, Vet Crew! 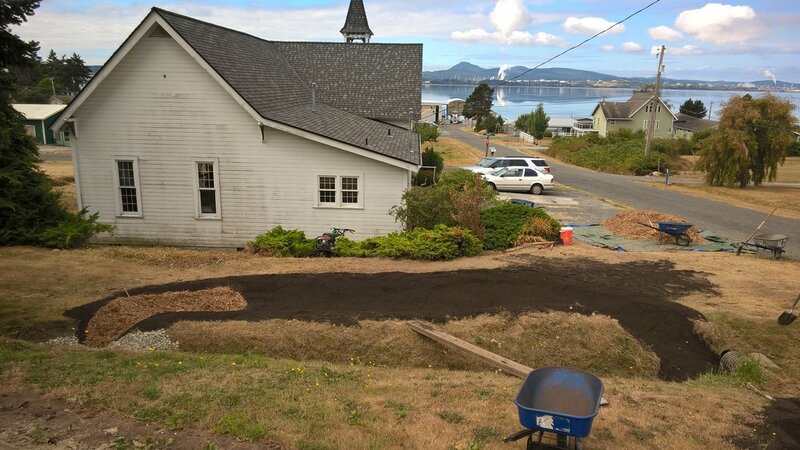 Please get in touch with us if a rain garden might make sense on your church property or other community area.